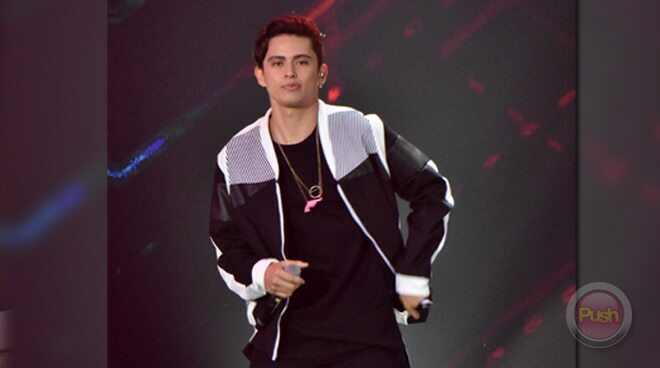 James Reid said that it has been a remarkable year for him as a musician. The Kapamilya star released his album this year called Palm Dreams and started a music label, Careless Music Manila. “It’s been unbelievable, really. This is just music I used to make at my friend’s house for fun and it is something that I like to listen to and then it got recognized overseas so I don’t know what to say [but], it’s just amazing,” he said referring to his album. He also extended his gratitude to those who showed support for him at the recently concluded MTV EMA where he won Best Southeast Asia act. “Super thanks to everyone who voted for me, to all the JaDines thank you so much and thank you to all the fans who voted for me in Singapore, Indonesia, from everywhere,” he stated. The actor also shared his experience with having his own music label, saying it has truly been very fulfilling because he can fully express his creativity. Reflecting on the year that has passed, James described it as a defining year for him as a musician. “I am thankful for a lot of things. I am thankful for the support of so many people to get my music off the ground which is very important to me. All the support of the fans, the support of my friends especially the support from Nadine (Lustre). It’s been a very big year for me, a very defining year. This is the year I learned so many things and the truth about a lot of things so this year, it is very enlightening,” he stated.